It’s no secret we’re a big fan of Thailand, and the delicious Long Table restaurant. Well, the Column Hotel Bangkok combines the best of both worlds, it’s in Bangkok and even the same building as Long Table! 46 stories high the Column is named after a tall structure for good reason. 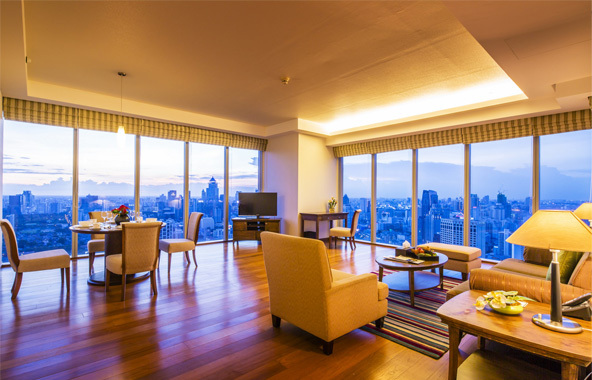 We stayed on the 41st floor which offers magnificent views of the city, particularly at sunset. The one bed executive room is huge, the living room could easily doubly as a dance floor! 2 toilets, 1 bathroom and a kitchen allows you to have a home from home. The 24 hour supermarket and diner ‘Foodland’ is right next door to the hotel, so buying supplies couldn’t be easier. 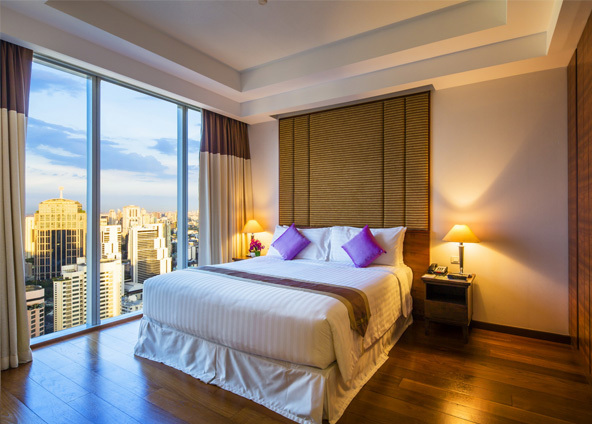 Reasonably priced and excellently located, the Column Hotel Bangkok is an excellent hotel choice for a Bangkok visit.